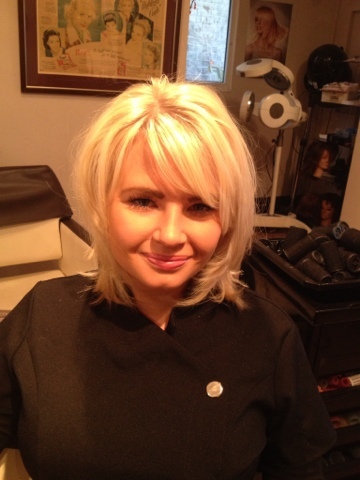 As hairdresser I thought today I would share some of the secrets of creating big bouncy hair!! This is the magic tool in getting lovely bouncy hair in a flash. It is a new take on the heated rollers, ( you know the ones, that would burn your hands when you took them out!) 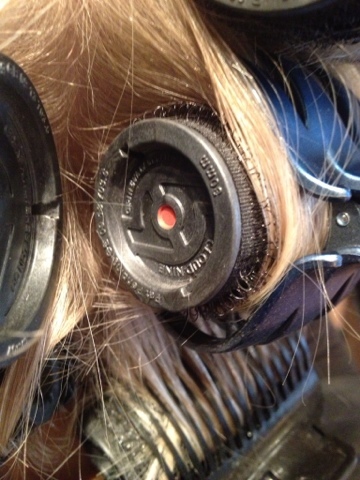 The rollers that come with the O are Velcro which means they are a lot easier to put and fix in the hair. So how do you use it? Very easily, you place the roller in the pod, wait a couple if seconds and then take it out. The roller comes out cold and starts to warm up quickly. Place in your hair ( secure with a clip if needed) and then wait! There's a red dot on the roller that turns black when they are ready to be taken out. That's it very simple and you can create a variety of different looks depending on the size roller you use. 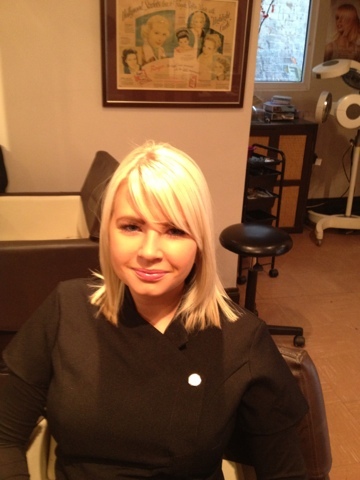 Pictures below are of my lovely work college Chelsey ( which i must add has very soft fine hair!! )before, during and after.